I used to not be a breakfast person at all. It was a sad time. Over the last year I’ve made it a point to try and eat at least a few bites of something between 8 and 9 am. Okay, sometimes 10 am. So, I bought a few frozen breakfast burritos to try out the idea of something spicy and savory for breakfast. I loved it and ended up buying a few more. Well, that got expensive quick. Naturally I decided I would get arrogant and make my own. This is what I came up with, and to me they not only taste great, but honestly.. I think they taste better. Give it a try, I included a few extra pictures to guide you in the “rolling process” and it’s actually quite fun. 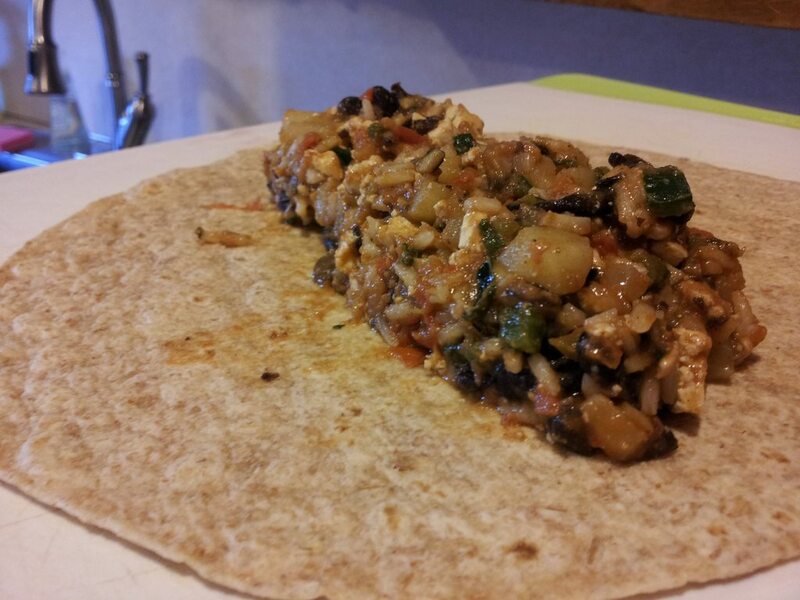 This entry was posted in Recipes and tagged black beans, burrito, chili powder, cilantro, cumin, garlic powder, mexican, mushrooms, onion powder, poblano, potatoes, rice, salsa, tofu, tomato, vegetable oil, yellow onion. I think we all know by now that I love enchiladas. Every time I make them I do it a different way. 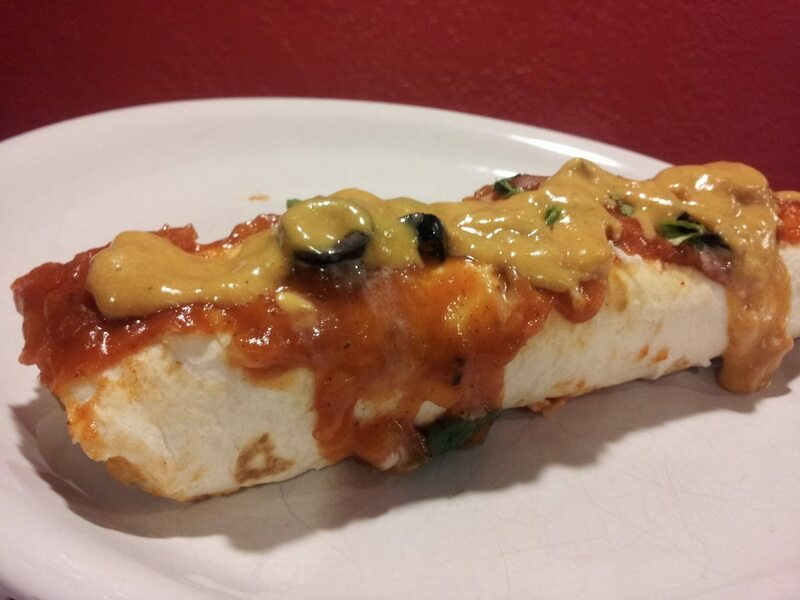 This time I wanted to give the potato burrito a try, and it turned out delicious paired with my homemade salsa, my homemade cheese sauce, homemade enchilada sauce (all three recipes are inside this post) and some blue corn chips. This seriously makes a ton of food, so be prepared to not cook for a while after you make this, or be prepared to have a food baby because you can’t stop yourself from eating it all the first day. 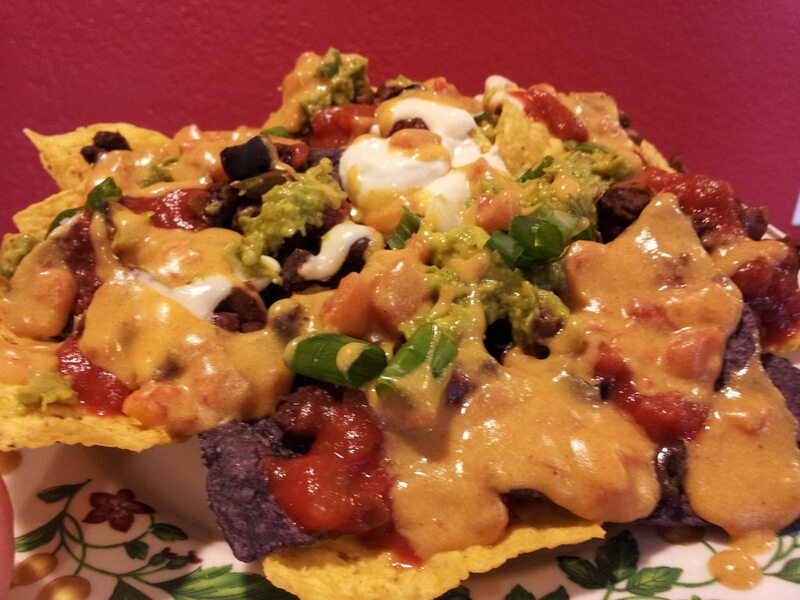 This entry was posted in Recipes and tagged black beans, black olives, cheese sauce, chili powder, cilantro, corn, daiya, enchilada, flour tortillas, green bell pepper, onion, potatoes, salsa, scallions. 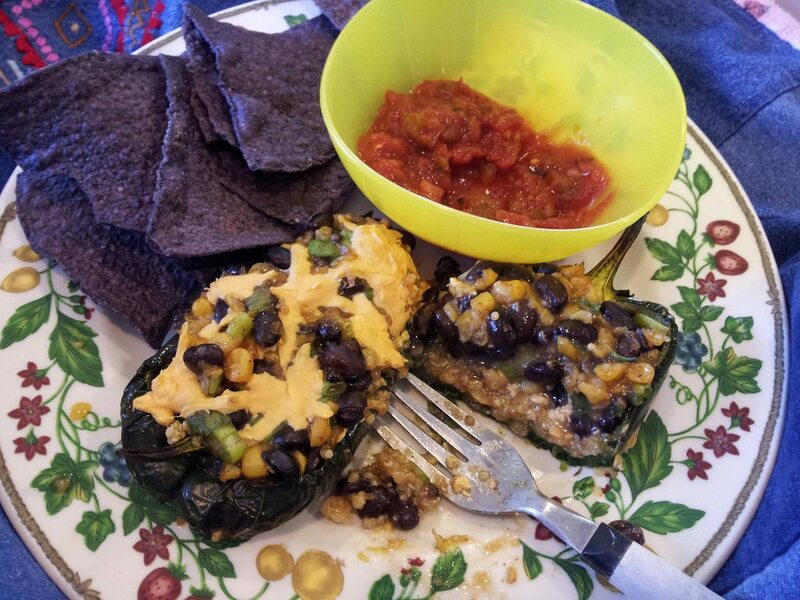 I had never tried poblano peppers before I made this. Isn’t that nuts? I don’t like messing with peppers very often, do to the simple fact that you can easily burn the hell out of yourself if you get the juice or seeds under your nails and on your hands. I am always very cautious with this, and please do yourself a favor and be very aware. 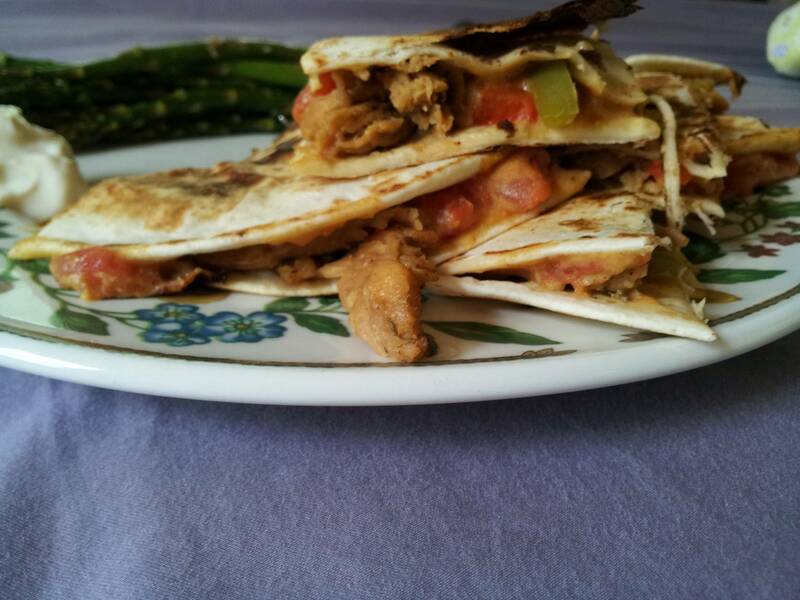 The result is delicious and fresh tasting whether you choose to use bell peppers or poblano. This entry was posted in Recipes and tagged bell pepper, black beans, brown rice, chili powder, cilantro, corn, cumin, daiya, peppers, poblano, quinoa, salsa, scallions.